In recent months a number of people have asked me about silver hallmarks. It occurred to me that you might be interested to know a little bit about these too – who knows, you might even discover some of your own hidden treasures. Going back to basics, ‘what exactly are hallmarks?’ you may ask. Well, when you look closely at a silver item (be it jewellery or not) you will often see one or more tiny stamps somewhere on the piece. These are its hallmarks, which allow you know more about the piece and discover its origin. Precious metal hallmarks have been used in the U.K. for many years as a way of protecting the public, manufacturer and retailer from potential fraud. As each piece is independently tested and stamped with its precious metal content, everybody can be assured that they are not being mislead by unscrupulous parties. In the UK, prior to sale, it is compulsory for any piece of silver (over 7.78g in weight) to be independently tested by a third party, & hallmarked accordingly. This is carried out by the Assay Office. The Makers Mark, which as you’d expect allows you to identify who made the piece. The Standard Mark, which identifies the metal purity. For example in the case of Sterling Silver you might see 925 or .925 (referring to the 92.5% silver content standard for Sterling Silver). 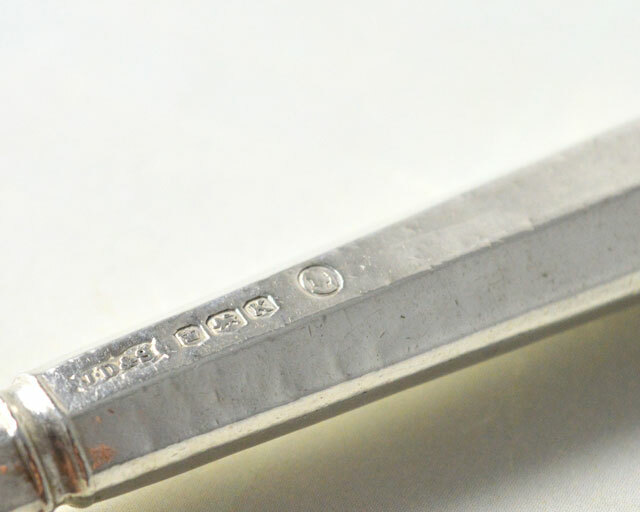 The Assay Office Mark, which identifies which of the offices tested and stamped the piece. There are many other hallmarks that you may come across on your silver. If you have any old silver which you have inherited it can be quite fascinating to have a closer look. For example, the marks above show that this piece was made by James Dixon & sons; the crown that it was made in Sheffield, England; the lion that it is Sterling Silver, the K represents the date it was made and the final mark is the duty mark (the King or Queen who was on the throne at the time it was made). If you’re keen to know more about what the marks on your silver mean here’s a great resource. By contrast, in Australia, at the time of writing, there is no such government controlled Assay office. 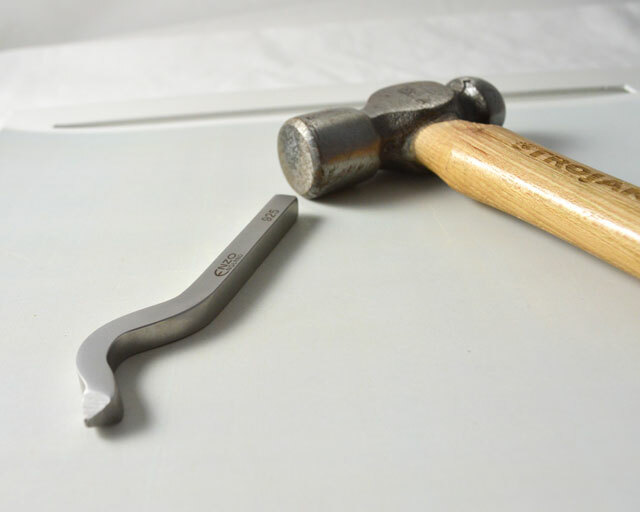 Australian silversmiths are consequently allowed to stamp their own jewellery, often using their own Makers Mark along with the Sterling Silver or 925 stamp on their work. This is done simply with the appropriate stamp and a hammer.